I’m finally ready to release the 2. album with my trio NOR. It’s called “The six of us”, and it’s an homage to my family and families in general. Oskar and Matti are far more than just good colleagues and we have built a strong friendship that I really appreciate. It almost feels like we are a family after all the ours spent in the studio, the tour bus and not least on the bandstand. We celebrate the release with a concert at the Reykjavik Jazz Festival on September 7th, which is also the official release date. On September 26th we play a concert in Copenhagen at Paradise Jazz. This entry was posted in Uncategorized on 4. September 2018 by Richard Andersson. This entry was posted in Uncategorized on 6. July 2017 by Richard Andersson. It’s summer! I’d love to buy you all an icecream, but I cant. Instead I’d like to offer you a digital download of my music at a ridicolously low price. There are six albums to choose from for 2$ each. Or buy the entire discography for only 9$. If you’d like to pay more -feel free, otherwise spend the rest on icecream and sunscrean…. Available from today until June 8th. This entry was posted in Uncategorized on 1. June 2017 by Richard Andersson. Im super happy to announce the release of the second album with my quartet Richard Andersson UDU. CD and digital release on November 18th! Vinyl release in mid december! This entry was posted in Uncategorized on 14. November 2016 by Richard Andersson. This entry was posted in Uncategorized on 8. December 2015 by Richard Andersson. First release on my new label! 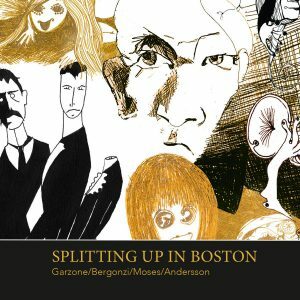 In December 2012 Danish bass player, Richard Andersson, traveled to The States to meet up with a few of the most respected musicians of the jazz scene of Boston; Drummer Ra-Kalam Bob Moses and the two legendary saxophone players Jerry Bergonzi and George Garzone. This short and intense meeting resulted in more than three hours of recording material in addition to a live recording at the legendary venue Lily Pad. 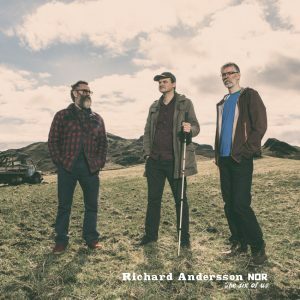 It took almost three years before Richard Andersson was finished editing the many hours of improvised music. Now,that it is finally done, the first of two records from the intense weekend in Boston is ready for release on Richard Andersson’s new label, Hobby Horse Records. This entry was posted in Uncategorized and tagged George Garzone, Hobby Horse Records, Jerry Bergonzi, Ra-Kalam Bob Moses, Richard Andersson on 27. October 2015 by Richard Andersson. I’m very happy about this first professionally made video of my Icelandic trio! It’s recorded at the beutifull church, Fríkirkjan in Hafnarfjordur, Iceland. Enjoy! This entry was posted in Uncategorized and tagged Icelandic Trio, Jazz, Matthias Hemstock, Oskar Gudjonsson, Richard Andersson, you tube on 23. February 2015 by Richard Andersson. So much has happened since my last update! The master plan was to go back to Denmark in June 2014 after 10 months here in Reykjavik. My Family and I did go back to Denmark in June, and we stayed over the Summer, where I played a bunch of gigs with different bands, but we ended up in Reykjavik again in mid-August just in time for the annual Reykjavik jazz festival. I played three great shows at the festival, Andres Thor quartet featuring the New York drummer Ari Hoenig, My own trio featuring Andreas Fryland on drums and the great Aaron Parks on piano and then a CD release concert with trumpeter Snorri Sigurdssons new quartet. I’m very excited to tell you, that my Danish band, Udu, is coming here to Reykjavik tomorrow! It has been over a year since we played our last tour, which was in Poland. This time we are going to play three concerts in the area around Reykjavik and do a workshop at the local jazz school, FIH. I’m still working on finishing the recording I did with Moses, Garzone and Bergonzi, but I’m getting there! Hope to tell you more soon! This entry was posted in Uncategorized on 19. November 2014 by Richard Andersson. It has been a while since my last update. In the meantime I have moved to the innovative capital of Iceland, Reykjavik. All though the city only have about 200.000 inhabitance, the jazz scene is very interesting, and there is a bunch of very good players! I started up a weekly jazz jam session at a bar called Hresso, so I get to play with a lot of the local musicians there. Right now I’m in Copenhagen, where I have been playing some gigs during the last week. Tomorrow I’ll go on a tour with my band Udu. The first tour ever for this band! We are going to play four concerts in the northern part of Poland. Thanks to Grzegorz Rogala, who has helped me putting this tour together! Other than playing I have finished mixing the studio recording with George Garzone, Jerry Bergonzi and Ra-Kalam Bob Moses., which I hope to release really soon! This entry was posted in Uncategorized on 15. October 2013 by Richard Andersson. Getting ready for some fun gigs over the summer starting tomorrow. I have the privillage to play thre gigs during the Odense JamDays festival as a leader. It is going to be thre different saxophone trios at a small new coffee and wine bar called Nelles. Also during the Copenhagen jazz festival I’m playing four different concerts as a leader with four different constellations. I’m happy to tell you, that Bob Moses is going to join me for one gig on the 12th with the great Rudi Mahall on bass clarinet. I also get to play one gig with this years artist in residence, Tyshawn Sorey, in the end of July with Nikolaj Hess on piano. On the 1st of August my Family and I are moving to Iceland for 10 months, and we are looking very much forward to that! It is going to be exciting to meet new people. Especially from the Innovative Icelandic music scene. Other than that I’m currently mixing the recording I did with George Garzone, Jerry Bergonzi and Bob Moses. Everything sounds great, but the hard thing is to pick the right tracks! I hope to release it juring the fall. Here is a list of the concerts I’m playing during the summer. This entry was posted in Concerts, Uncategorized on 26. June 2013 by Richard Andersson.